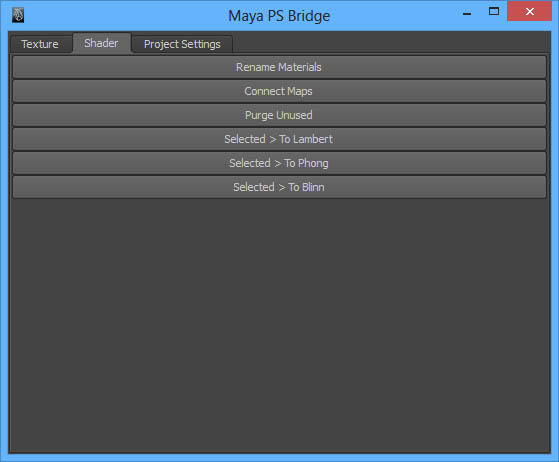 My current little pet project to bridge Photoshop and Maya, from within the Maya environment. 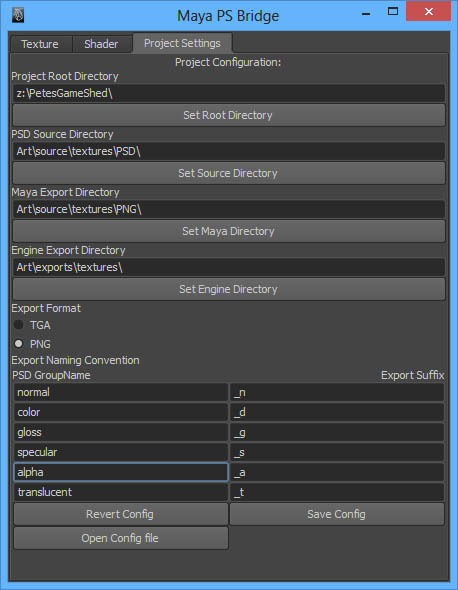 The tool is in very early development stage, but currently supports project configuration and opening a selected model's source PSD from within the Maya environment. Exporting a selected model's UV map and using it to create a new PSD. 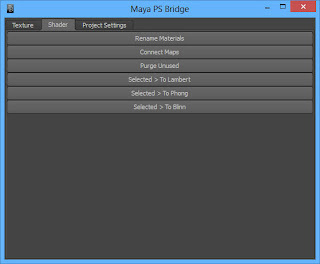 Calling Photoshop to export all of a model's maps from their source PSD. 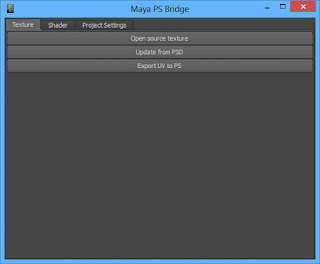 Renaming shaders based on their diffuse texture name. The tool is written entirely in Python/Pymel and uses the win32com module as a bridge. Various options to clean up scenes. 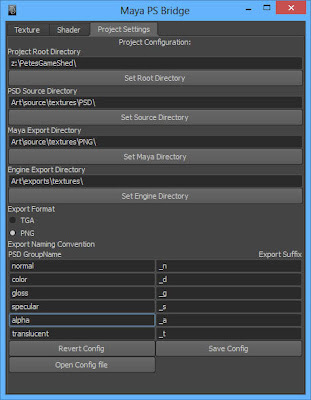 The current texture tools. More to come!